First, download the operating system files, either GMS (Google Mobile Services) or Non-GMS from Honeywell’s FTP site. You’ll need to sign up for an account if you are not registered. 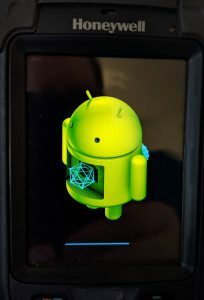 Navigate to Software, Computer Devices, Handheld, CK75 CN75 CN75e, Android 6, Current, Device Image, GMS (or Non-GMS). Download the file that has an “sd” in the file name. You’ll need Honeywell’s Download Manager; there’s a link to it on the FTP page. Unzip the files into a temporary folder. Insert a micro SD card into your PC and format it as FAT32. Copy the entire contents of the unzipped folder onto the root of the SD card. Power down the CK75 and open the back cover above he battery, there are three screws holding it down. Insert the micro SD card into the slot; refer to the manual if you need help with this. In another 4 minutes the CK75 will reboot to a Honeywell screen. In another 3 to 4 minutes the Android Welcome screen will appear and walk you through the initial set up. When this is done, power off the CK75 and remove the SD card. Next, navigate to the same folder on Honeywell’s FTP server, but instead of GMS or Non-GMS select the CommonES folder and download the .zip file. This file contains updates to the Honeywell programs on the CK75. Connect the CK75 to your PC (refer to the manual if you don’t know how to do this) and copy the downloaded .zip file (don’t expand it) to IPSM\honeywell\autoinstall folder. You may have to create this last folder yourself. Go to the main apps page on the CK75 and select AutoInstall. Make sure that AutoInstall is enabled, then click on “Packages upgrade”. You’ll see the various programs being updated. When complete, delete the .zip file from the \IPSM\honeywell\autoinstall folder. The package updater does not clean this up automatically and the upgrade will install on each boot unless you manually delete this file. The VM3 manual tells you to go to Control Panel, Enterprise Settings, Data Collection to set this up, but there is no Enterprise Settings (formerly Intermec Settings) to select in the control panel. To access Enterprise Settings, start File Manager and navigate to \Program Files(x86)\Intermec\IVA\bin and right click on the “Intermec Settings” program. Add a shortcut to your desktop and you’ll have access to the features described in the manual. Note: Select ASCII as the scanner type for a serial scanner and match the baud rate, parity, data bits, and stop bits and you’ll be good to go. If not, make sure the Virtual Wedge is enabled; it’s the last choice in the main menu. Although the current revision of PC and PM printer firmware supports time zones, any time arithmetic in Fingerprint is done in Greenwich Mean time, so you have to adjust your numbers according to your time zone and if it’s Standard or Daylight Savings time. For example, if it’s five o’clock local time in the Eastern Time zone and you want to calculate an expiration time two hours later, your result will be two hours earlier than the current time during Daylight Savings, and three hours during Standard time. This isn’t a big deal, you only have to add the time offset, but determining if it’s DST or not isn’t obvious. REM WHEN DOES DST END? REM WHEN DOES DST BEGIN? Of course, Daylight Saving begins and ends at 2 in the morning, but the above should be sufficient for most applications. 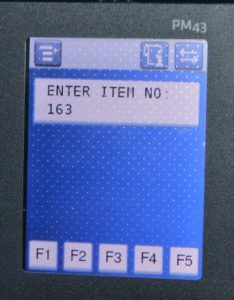 IPL (Intermec Printer Language) never specified the length of a label, it relied on the user to format the data properly; if you went over the edge, it would happily print on the next label. The new PM series printers behave differently. When you define a label size image memory is allocated based on those settings. Anything that falls outside those limits will get chopped off. IPL is now a Fingerprint program that runs on the PM43 so there is a conflict between the two languages on this label size issue. I think mapping this configuration command to set the label length is a bug, but I understand how this could happen. They way to get around this is to implement the “Ignore IPL” commands feature in the PM43. Enable Commands Ignore and press the Save button. 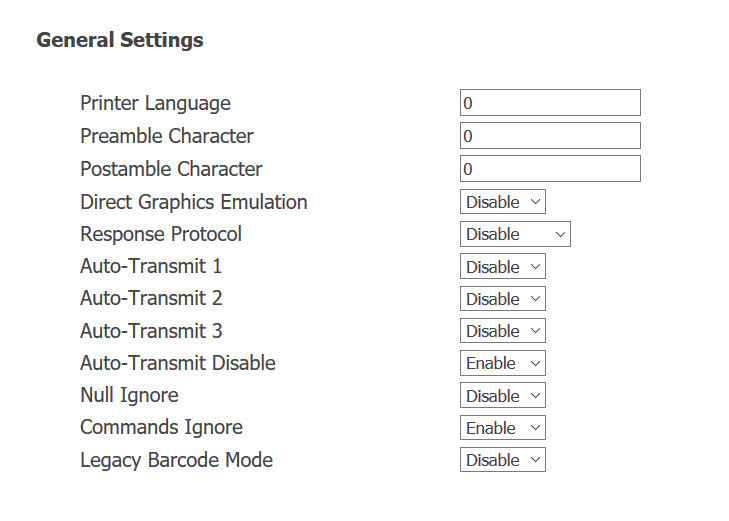 You can enable this from the front panel menu too. Go into Settings, down arrow to Languages, General Settings, then enable Commands Ignore. These commands are contained in a file named IGNCMDS.CFG in the /home/user/config/ipl folder. You can add any SI command you want ignored here, or you can delete the command that you still want the printer to respond to. 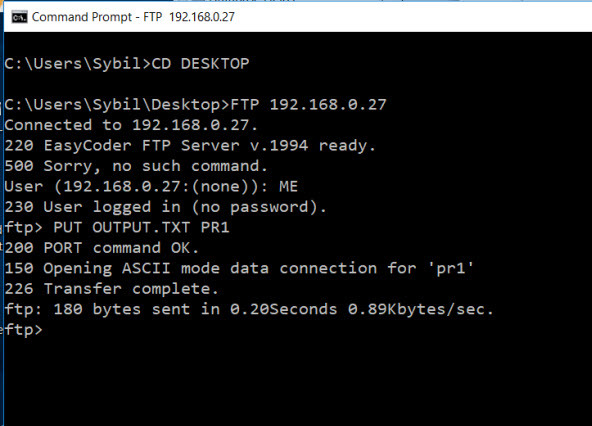 Copy this file to your PC using and FTP client, edit it, then copy if back to the same folder. Note: Loftware normally sent out the maximum label length configuration of 5 inches (<SI>L1000) with their compiled files or Print Server product when sending data to IPL printers. If you see your label length being reset to 5 inches, it’s likely that Lofware is the source of this IPL data string. The way around this is to rotate your images (I like IRfanview) ahead of time and print all of your images at Dir 1 and both printer will behave the same. At 16 bits per pixel this image used 2,718,478 bytes of storage. After conversion to 2 bits per pixel it was only 340,262 bytes, an almost 90% reduction in size with no loss of resolution. We recently wrote a Fingerprint application for a large snack food manufacturer. The application prompts the user for the item number they want to print and the number of labels. 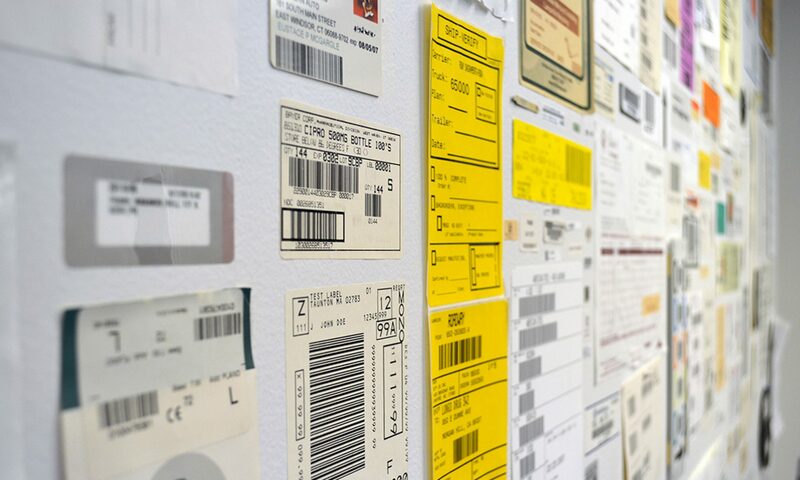 After printing a sample label for approval, the program prints the requested quantity. There are four different label formats, and the data for the label is retreived from a .CSV look up file. 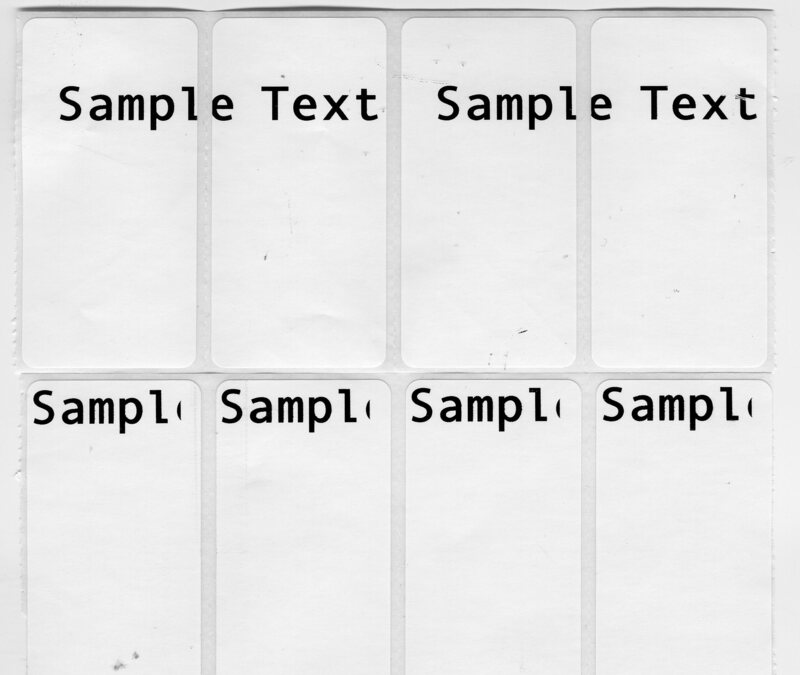 We issue a “PRINT FEED” command for each label; the labels are serialized so each one is unique. I’m in the middle of a couple of these projects, so while the subject is fresh, I’ll note tips. The VERSION$(1) command returns the printer type: PM43, PX4, etc. I’m converting a program that runs on a PX series to run on a PM. The users are used to pressing the “<” and “i” key to execute certain functions, but these keys are absent on the PM series. To get around this I copied the less than key image from the /usr/share/ui/images/fpapps folder on the PM43 and copied it into the /home/user/display folder and named it funckey_1.png. I then edited the image with Paint to create a custom “i” key and saved it as funkey_5.png. The less that and I key map to the F1 and F5 keys, but the display is friendly for the user. Note that the DISPLAY KEY2,0 through 4,0 hides the F2, F3, and F4 keys from the screen. Make all of your file names upper case and specify the path to make them compatible with both printers, so it’s /c/MYFILE.TXT. We use the sound command to put timed delays into our code; a typical command: SOUND 20000,100. This doesn’t work with the PM series, it’s sound command is limited to 4 digits, so use SOUND 0,100 instead, This will run on both printers. Intermec published a nice document on migrating to the PM series, you can find it here. If you have images to print on your labels be aware the the DIR command works differently in the PM and PX series. The PM can rotate images in all four directions, the PX only by 180 degrees. The best practice is to use DIR1 on all images on your label and rotate the images themselves with an editor(such as IRFAN) as needed so you images will print out the same on both printers. One last item that has nothing to do with this subject, but it is a Fingerprint topic. I was doing a program on a PC43 series printer using small cryo labels .5 inches long. After the label printed the label gap came to rest directly over the label sensor and the printer returned an out of media status when I queried it with ?PRSTAT. No start/stop or label length commands could fix this so I used a PRSTAT(8) command instead and waited on a “next label not found error”, a 132 to get around this issue. Saved a project. Sometimes you need to print labels from a program you are writing. Here’s a few tricks to make that job easier. You can develop a label format in its native language of IPL, ZPL, Direct Protocol, etc (there’s a bunch of them) but an easier method is to use a design tool, which are available for free from printer manufacturers and capture its output. For Intermec printers you can download Bartender UltraLite from the Honeywell web site here. You’ll need to sign up to get an account and you’ll have to use their download tool, which works with Windows 7 but not 10. 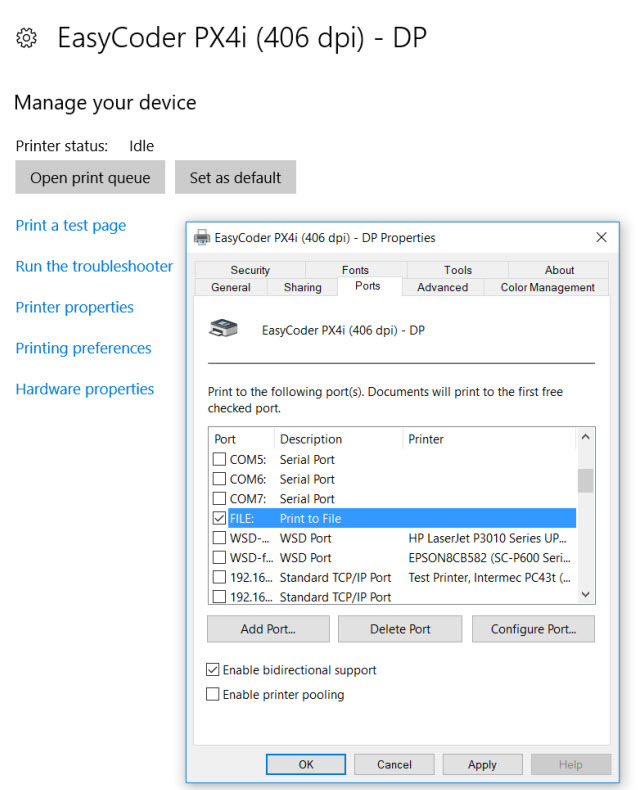 Next, download the appropriate printer driver for your target printer. You can get these from the same Honeywell site or from Seagull Scientific. Print your label to check that it looks the way you want and you can then print your template to disk for later inclusion into your code. You can replace the two fixed text fields “12345678” and “Sample Text” with variable names and include it in your code. One label printer after the PUT command. Hope this helps. One thing I can say with confidence about Intermec printers is that they are the most versatile on the market. Intermec printers can run user developed programs and they have a wide variety of add on options. I recently did a job for a medical manufacturer who wanted to control label printing from a Programmable Logic Controller (PLC). They use Bartender to send the label data and needed the printer to print one label each time the PLC fires a relay. Intermec offers an industrial I/O board for their PX and PM series of printers (1-971143-800 and 270-192-001, respectively) that have 8 sense inputs, 8 optocoupler out ports, and 4 relay ports. The manual is here. 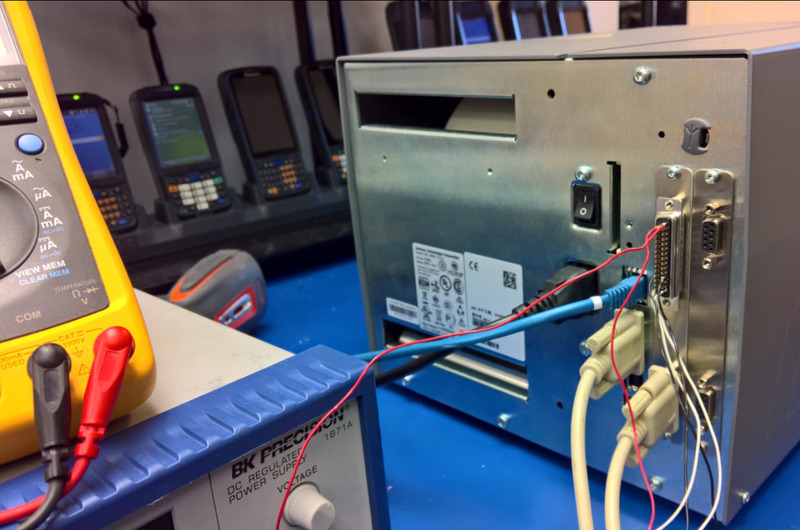 I used a Fingerprint program and an I/O board to connect their PX6 printers to a PLC. When the program starts it turns on a relay that is used as a “ready” signal to the PLC indicating that it’s ready for a new job. A fingerprint program then receives label data from Bartender on the Centronics port, filters out unneeded data and writes the label to disk. The program then turns the “ready” relay off, indicating that to the PLC that a job is running. If an error occurs (out of labels, ribbons, etc.) another relay is closed to flag the PLC of the error condition and the specific error is displayed by the printer for the user’s intervention. The industrial I/O board uses a 44 pin high density connector for the inputs and relay pairs. We used the red pair of wires and a 24 volt power supply to simulate the PLC output, the black pair was “ready”, and the white pair was the error indicator. I used a serial port to connect to Bartender because I didn’t have a Centronics port available. We could have used any port, Ethernet, USB, serial, or parallel to receive the label data from Bartender. What’s the warranty on Honeywell barcode equipment? It’s not so easy to find, but the official list is here. A little technical information blog run by Accurate Data. You may find potentially useful information in the guides and tips posted here.